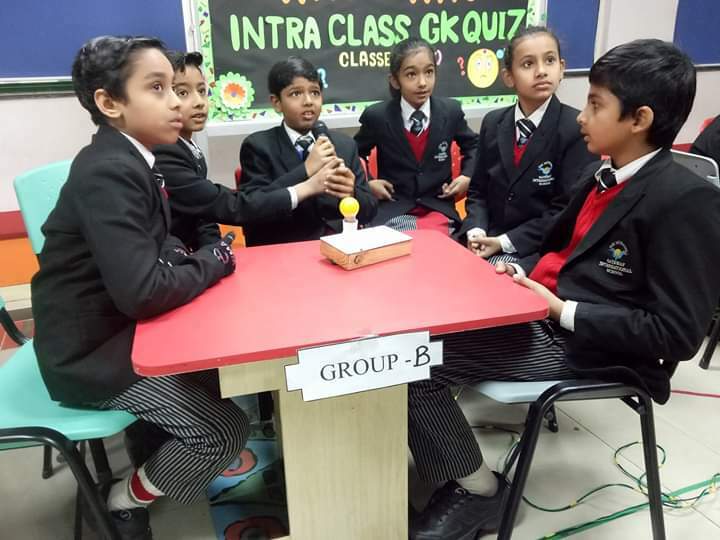 GIS Juniors conducted ʽ WHO’S WHOʼ G.K. Quiz for the students of classes I to V. The participants were very enthusiastic and full of zeal. The inquisitive minds left the audience spell bound with their knowledge and promptness. The Winner’s trophy and the Runner’s Up trophy was awarded to the winner team and runner up team. To everyone’s surprise both the trophies were bagged by the same section from classes I to IV. In class V, Section A won the Winner’s trophy and Section B won the Runner’s Up trophy. The competition inculcated team spirit among the children.